A sweet gift for a bridal shower, wedding, or anniversary. 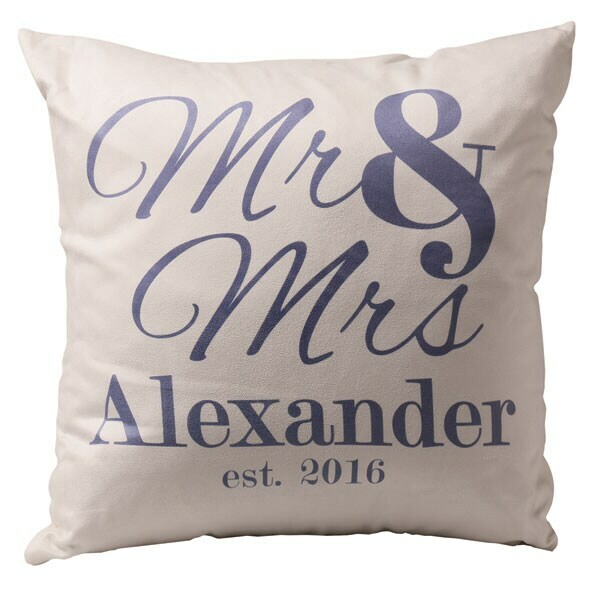 Soft off-white poly microsuede is printed in one of 6 colors with the couple's last name and year of marriage. 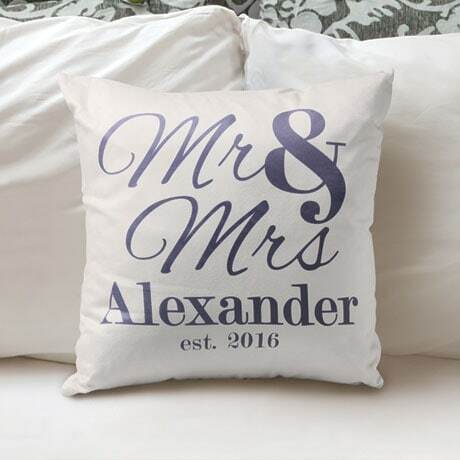 Specify name (up to 18 characters) and year of marriage (or a message of your choice, up to 18 characters). Specify ink: Navy, Black, Charcoal, Teal, Berry or Gray. Machine washable, suede-like polyester. Allow 3 weeks. No rush delivery or gift box. Item can only be shipped within the Continental US.